is a social enterprise tackling the challenges of degraded lands by working to improve environmental and community practices and helping to restore impaired places. We work with natural resources stakeholders to improve management of their environmental and social obligations through audits and reviews, management planning and training to the required corporate, national and international standards. Degraded land is one of global society’s biggest environmental challenges. We work collaboratively to restore landscapes on a large scale, rebuilding ecological integrity and enhancing people’s lives. A mine’s success can be measured by how it closes – and the aftermath! As well as site-specific closure planning throughout the mine lifecycle we develop site to sector initiatives, with a wary eye on the future! We ensure that an organisation’s environmental and social management priorities progress stakeholder expectations, with the ultimate goal of addressing degraded land issues to build ecological integrity and socio-economic benefit. 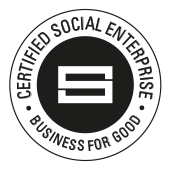 We operate as a social enterprise, so making a difference is embedded into our projects and operations. We also extend the premise of our mission by assisting others, with similar interests and ethics, who we have got to know.